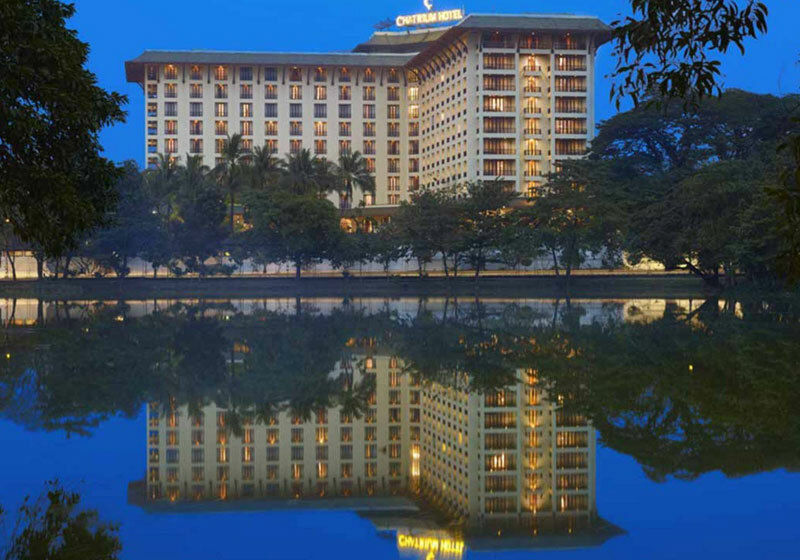 Situated among lush greenery and beside the famous Kandawgyi Lake, our Yangon hotel provides plenty of views that are simply a few stunning and spectacular. Every guestroom is spaciously designed and furnished to reflect the luxurious surroundings, with breathtaking views of Shwedagon Pagoda. The Chatrium Club Lounge provides an added touch of luxury and exclusivity with a private check-in lounge, complimentary refreshments, access to our Meeting Rooms and many more special privileges. Choose from six restaurants and bars for delicious dining, relax by our beach-styled swimming pool, work-out at the Fitness Centre and rejuvenate at Nemita Spa. Our Grand Ballroom is ideal for weddings, banquets and large events, with smaller meeting rooms available for more private functions. Short Description: Situated among lush greenery and beside the famous Kandawgyi Lake, our Yangon hotel provides plenty of views that are simply a few stunning and spectacular. Every guestroom is spaciously designed and furnished to reflect the luxurious surroundings, with breathtaking views of Shwedagon Pagoda.